Perfect flyer for any bachata, salsa, latin party or event. Salsa Flyer Template is a flyer template for your any latin, salsa, bachata party, club party, music event, or salsa, latin dance classes. Colorful, clean design with with latin and summer colors. All the background items are indcluded in the file. There is a link to download the couple picture for free too. Text fonts are also included and 100% free. Very well organized and easy to customize. Download this bachata flyer design, check out other flyers of Graphicfy or discover how to download for free here. 6.25×4.25 in size & CMYK Colors. Ready to print! All elements are included or in download links for free. 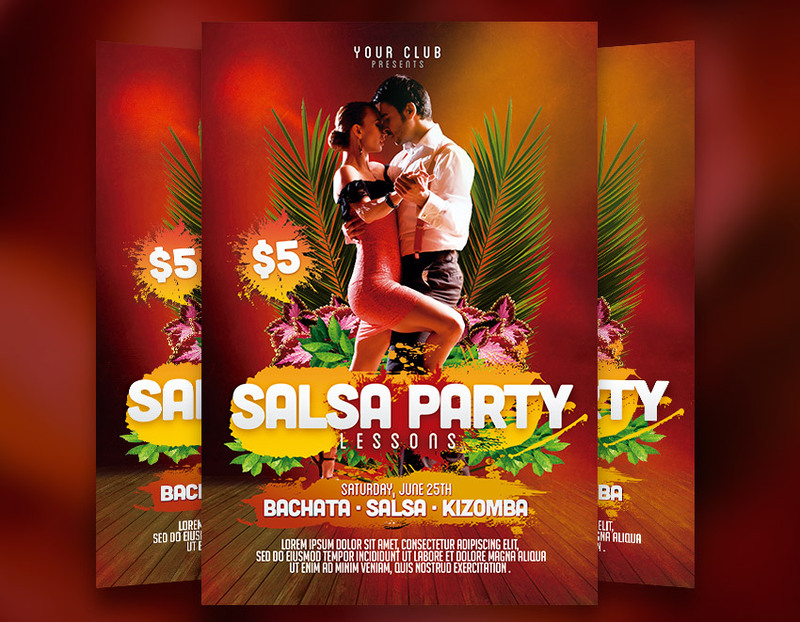 You can download this Salsa Flyer Template for free and all the Graphicfy files. Become a member here and get access to all our files.